CAMP ZAMA, Japan (March 18, 2019) -- Five Japanese police officers visited Camp Zama March 15 to train motorcyclists on how to inspect their bikes and improve their riding skills. The annual Army Ride Safety Awareness Day, which takes place at the beginning of the riding season, is important because motorcyclists from the United States will find riding in Japan much more difficult, said Bill Maxwell, a safety specialist at Camp Zama and organizer of the event. "First of all, the entire road network has an entirely different feel from what you get in the U.S.," Maxwell said. "Roads are narrower, traffic is heavier and you've got a lot more distractions as far as driveways and shopping centers and everything else, so it's extremely challenging on your attention." 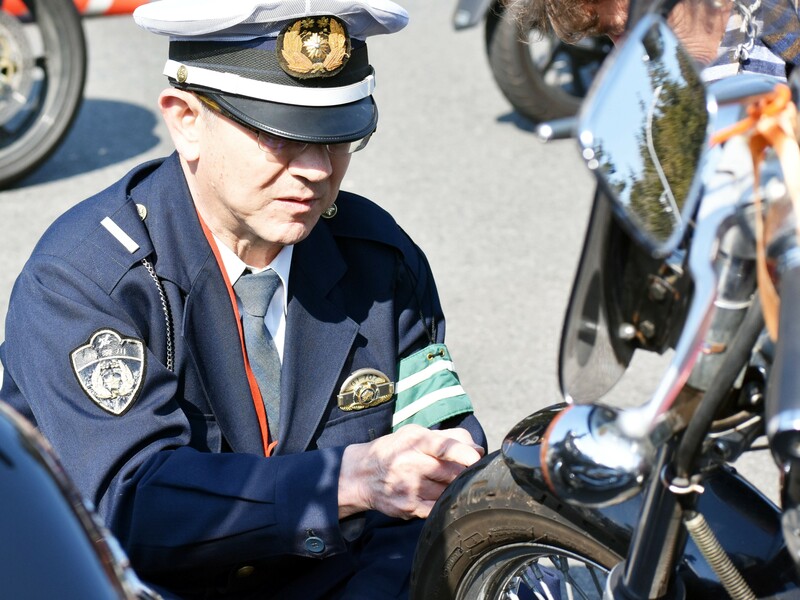 Two of the officers who attended are members of the White Angels, a group of motorcycle officers who not only enforce traffic laws, but give demonstrations and training classes. 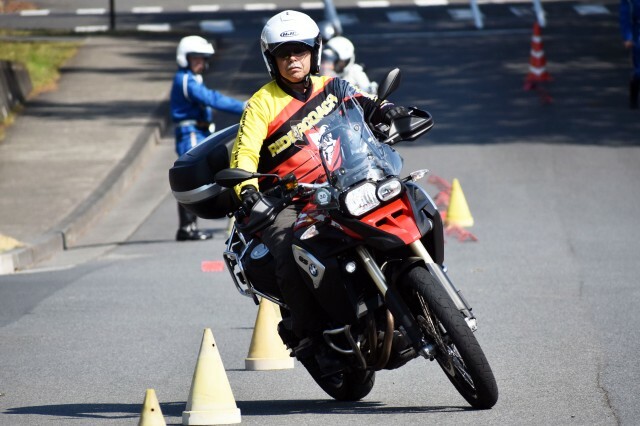 About 20 riders turned out, and Assistant Police Inspector Toshiro Nishino from the Zama City police department told them that although no riders from the U.S. have been involved in the city's 30 motorcycle accidents so far this year, it would serve them well to learn what caused many of the accidents. 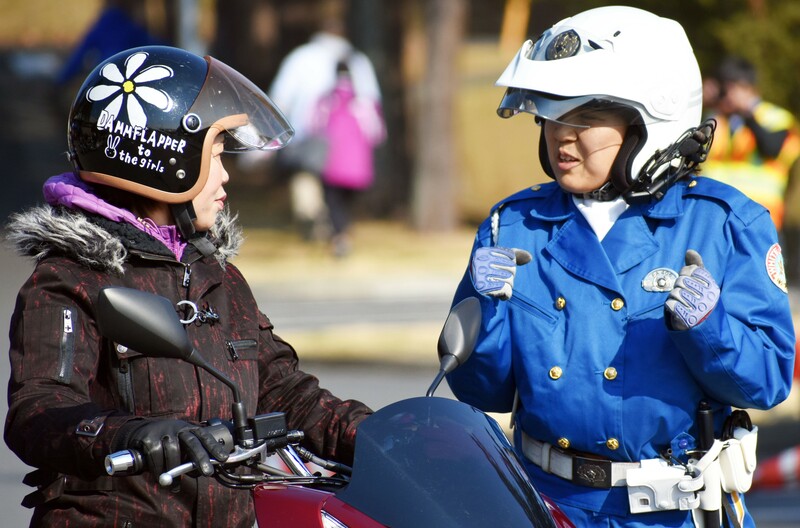 Most of the accidents, Nishino said, have involved a rider taking a right turn and getting hit by oncoming traffic. (Drivers drive on the left side of the road in Japan). Other accidents have involved riders who ignore stop signs at narrow intersections that lead onto larger side streets, he said. 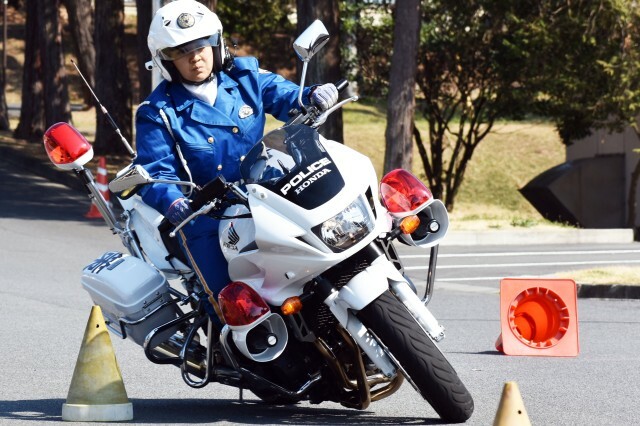 Lt. Yasuhiro Yamauchi, a motorcycle officer from the Zama City police department, said riders from the United States have to remember that Japanese roads are different from U.S. roads because they are much narrower. The most common mistake Yamauchi said he sees U.S. riders making in Japan is going down roads that have restricted hours at the wrong time. 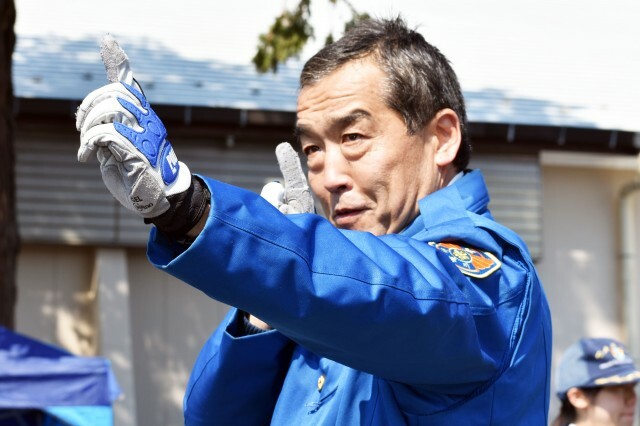 Yamauchi said everyone--Japanese riders included--needs to make sure they are wearing proper personal protective equipment. 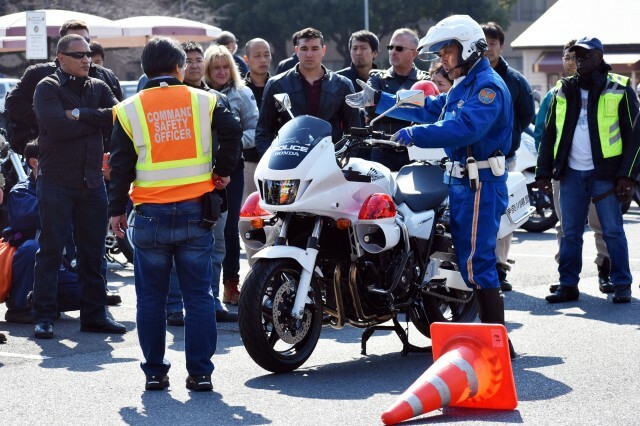 After a brief introduction from the police officers, riders broke into two groups, and while one group received instruction on how to inspect a motorcycle, the other group practiced riding through an obstacle course. Tyrone Johnson, a civilian employee at Camp Zama, said he makes a point of coming to the training every year. 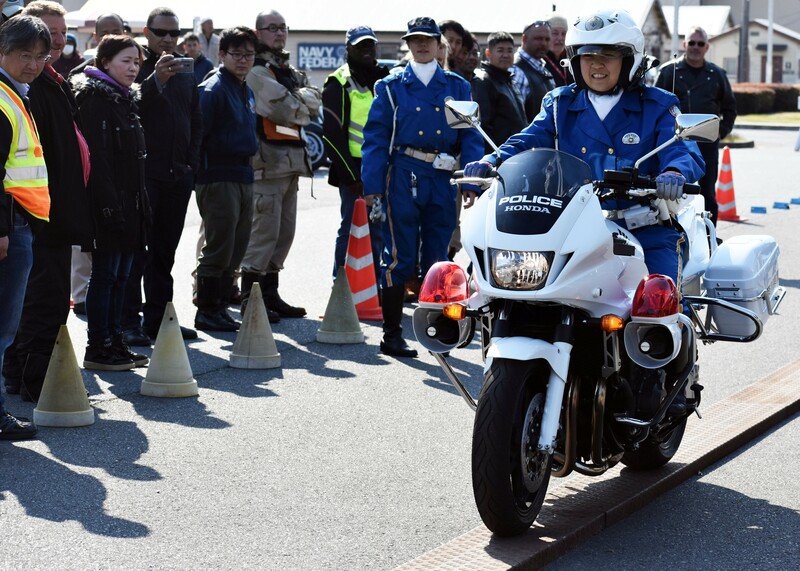 "It's always a good event to share with the Japanese motorcycle police and we build (a) rapport with them," Johnson said. "If they get to see us here, then if they see us on the streets, it makes for a good atmosphere and they know who we are." 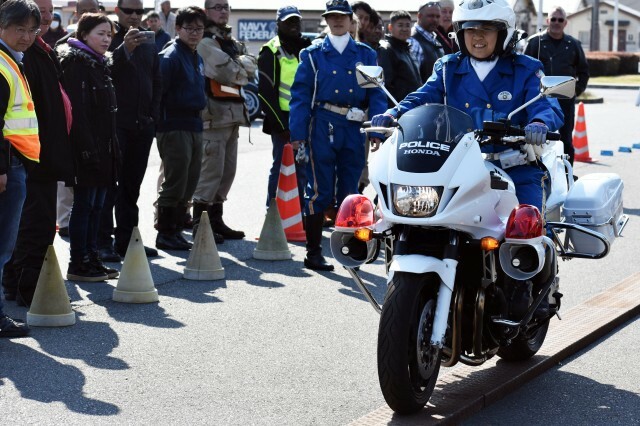 This year's event had one of the biggest crowds Johnson had seen, and also included more Japanese police officers than usual, he said. "It's really good to see a lot of people here," Johnson said. Maxwell said participants couldn't have asked for better weather, and installation officials intend the training to be a fun way to improve skills. 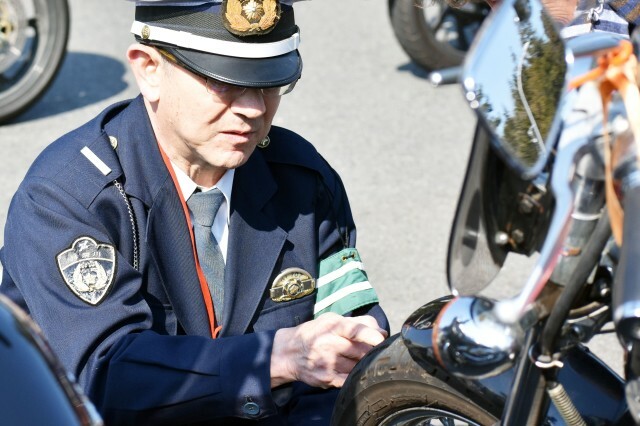 In addition to the safety day, the installation offers two classes for motorcyclists, Maxwell said. They include the Basic Riders Course, which is essentially a class that prepares participants for licensure, and the Experienced Riders Course, which helps riders fine-tune their skills, Maxwell said. 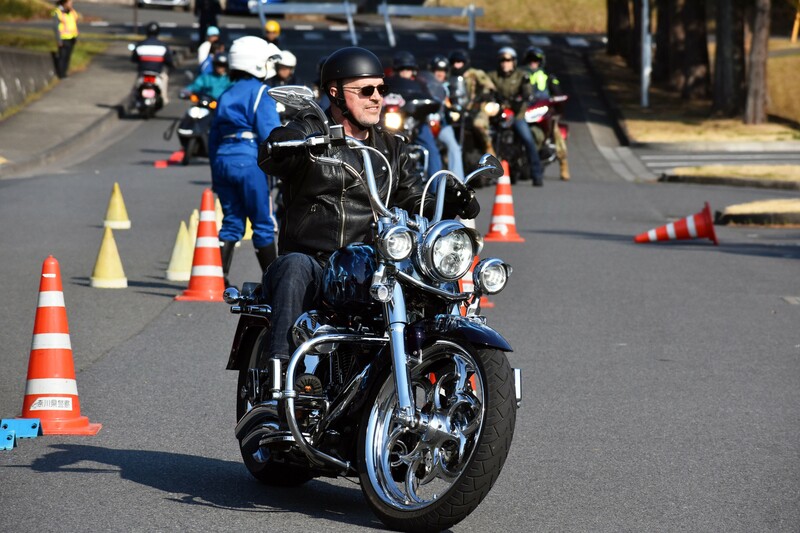 Keeping up on riding skills is especially important in Japan, Maxwell said. "(Riders from the United States are) used to having wide-open roads and they can kind of relax half a second," Maxwell said. "Here you really just can't do that … It's a lot more challenging." 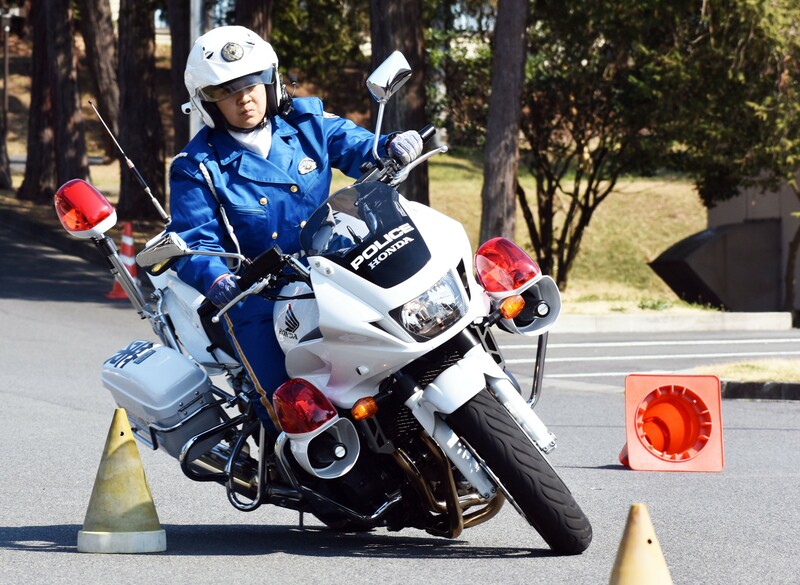 To contact the Camp Zama Safety Office about motorcycle classes, call DSN (315) 263-4464 or 011-81-46-407-4464 from overseas.